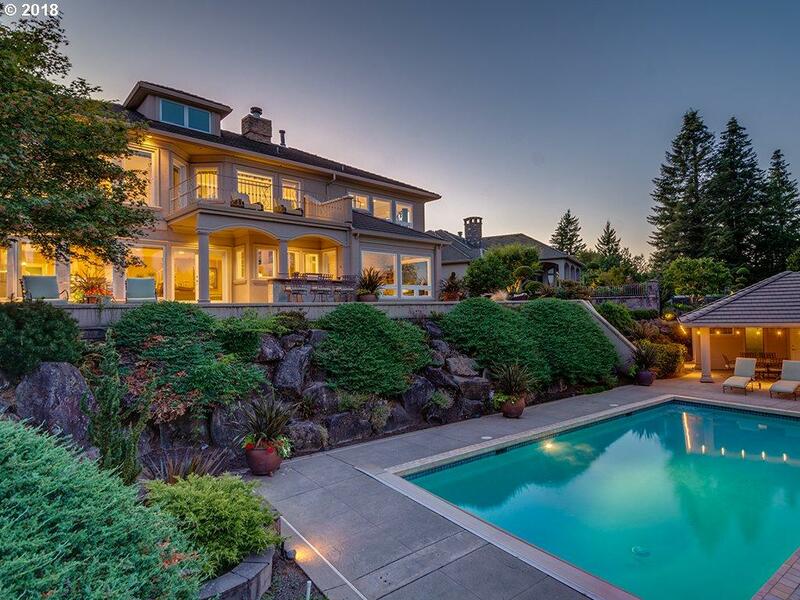 Gorgeous custom estate w/spectacular Lacamas Lake & Mt. Hood views! 4BR all en suite, frml living & dining, gourmet kitchen w/Sub-Zero fridge, walk-in pantry & butler's pantry, family rm w/wet bar, sauna, sunroom, laundry up & down, upstairs bonus, gym, upstairs beds all w/French doors & balconies. Attic for addl SF, downstairs wine cellar & walk-in safe. Extensive paver patios, outdoor kitchen, pool & pool house w/bath & dressing rm.